Barker (2005) In a general sense, motivation can be defined as the dynamically changing cumulative arousal in a person that initiates, directs, coordinates, amplifies, terminates, and evaluates the cognitive and motor processes whereby initial wishes and desires are selected, prioritized, operationalized and (successfully or unsuccessfully) acted out. Elliot (2006) Motivation is the energization of behavior by, or the direction of behavior toward, positive stimuli (objects, events, possibilities), whereas avoidance motivation is the energization of behavior by, or the direction of behavior away from, negative stimuli (objects, events, possibilities). Lai (2011) concludes motivation refers to reasons that underlie behavior, motivation is animated by personal enjoyment, interest, or pleasure, whereas motivation is governed by reinforcement contingencies. 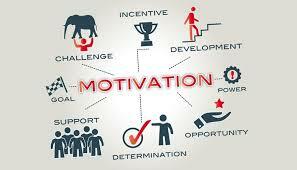 Motivation involves a constellation of closely related beliefs, perceptions, values, interests, and actions. Motivation within individuals tends to vary across subject areas, and this domain specificity increases with age. Graham and Weiner (1996) Definition of motivation. Motivation is the study at why people think and behave as they do. In the context of academic achievement, motivational concerns would he addressed If we were to ask, for example, why some students complete tasks despite enormous difficulty, while others give up at the slightest provocation, or why some students set such unrealistically high goals for themselves that failure is bound to occur. Another way to capture the concept at motivation Is to think about a typical achievement behavior, such as studying for an examination, and to view it as a temporal sequence that is started, sustained, directed, and finally terminated. Belum ada tanggapan untuk "Definition of Motivation"